Foreground, Corner of Nason and Summer Streets. Build in 1882 and operated by the Riverside Cooperative Society until 1936. Fire destroyed the entire top two floors on January 30, 1936. The Knights of Columnbus purchased the property and rebuilt on the site. In this picture the bottom fronting on Nason Street was occupied by the Riverside Cooperative. 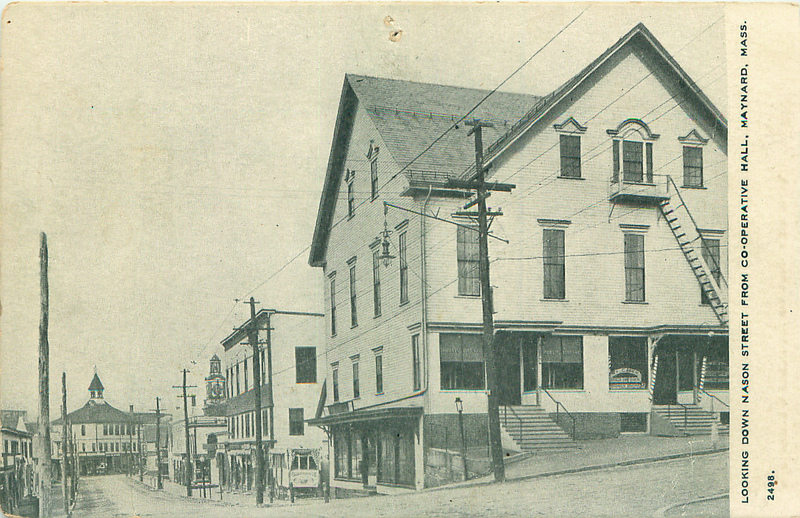 The floor facing on Summer Street was occupied by the Public Library and William Casey’s Barber Shop. 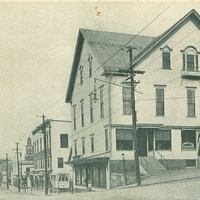 The 3rd floor was cooperative hall where all Town Meetings were held until the George Washington Auditorium was built in 1926. The 4th floor was a banquet hall. 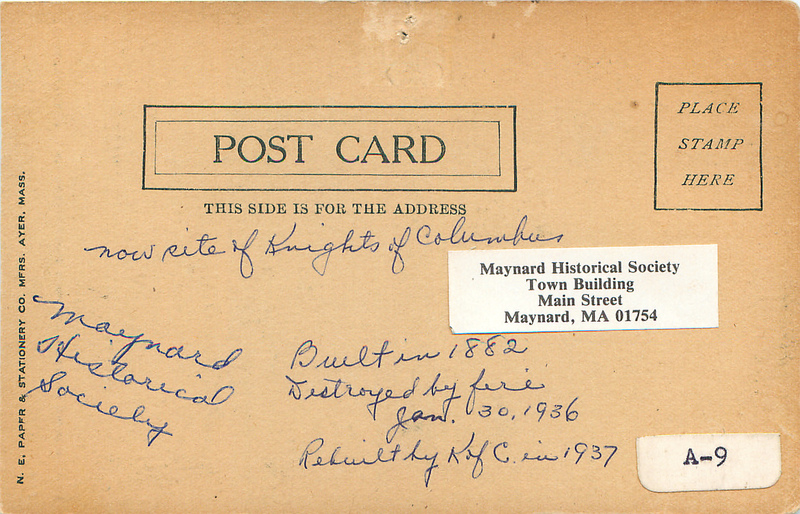 3.5 x 5.5 in, copy 8 x 10 in. 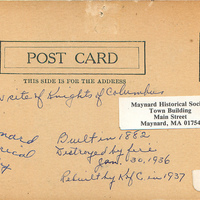 “Riverside Cooperative Building,” Maynard Historical Society Archives, accessed April 25, 2019, http://collection.maynardhistory.org/items/show/344.